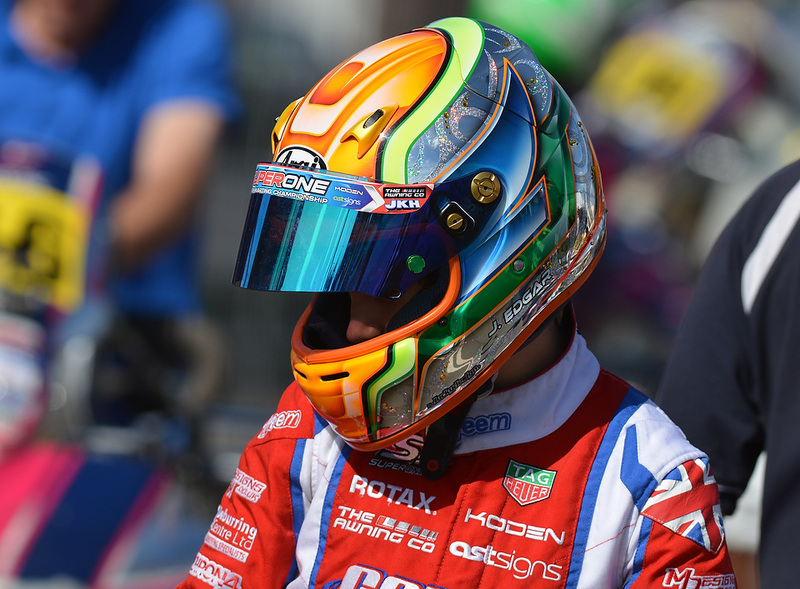 Jonny took on the world’s top karting talent last weekend and narrowly missed out on a podium finish. 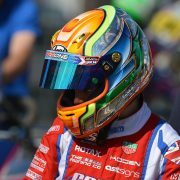 He was competing in Round 1 of the WSK (World Series Karting) Championships at Adria in Italy. 68 of the world’s very best junior drivers had assembled at this circuit with 34 of them making it through to Sunday’s Grand Final. A couple of 3rd place finishes in his Heats followed by 5th and 8th positions were sufficient to ensure that he’d be starting the Pre-Final off grid 4. He maintained this position to qualify in 8th place for the main event. Only the top 17 finishers in each Pre Final made it through to the main event. The Grand Final was run under Battenberg flags for several laps, but once serious racing got underway, Jonny steadily improved upon his position. With just a couple of laps of this race remaining he moved smartly past Ilya Morozov to take 3rd place. However, the Russian driver made a desperate lunge to recover his position and Jonny was pushed completely off the circuit, losing places as a result. However, he recovered to finish behind Morozov in 4th spot. The race was won by Italy’s Andrea Rosso, ahead of Australian star Jack Doohan, whose father Mick was a five times world motorcycle champion. Jonny was amongst a small handful of drivers who had to travel back for school on Monday. At this level, most of the others have private tutors who travel with them so that their karting activities aren’t interrupted. Next week he will return to Italy for yet another big prestige event. The Garda Winter Cup always attracts large entries and so a good result here will be further confirmation of his emergence as a world class driver.